You must be a member of the Rotterdam Arts & Culture Group to attend this activity. Would you like to join this group? My name is Ji Li and I am a new Consul of the Rotterdam Arts & Culture Group. As a lover of museums, arts and cultural events, I would like to invite you to join my very first event with InterNations: visiting Museum Boijmans Van Beuningen and Kunsthal together during the Rotterdam Art Week Protected content . Museum Boijmans Van Beuningen is one of the largest art museums in the Netherlands, ranging from medieval to contemporary art. There you will enjoy both permanent collection (classical works such as paintings from Rembrandt, Claude Monet, Vincent van Gogh, etc.) and temporary exhibitions (e.g. 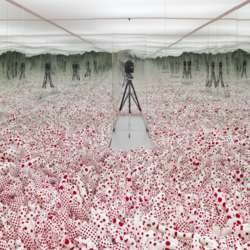 Piotpilti Rist (video art) and Mirror Room Yayoi Kusama (contemporary art)). Kunsthal is one of the best modern art museums in the Netherlands, where top-notch and avant-garde artworks are exhibited throughout the year. From February 9 there will be a special exhibition “Picasso on Paper”, which could be of particular interest to you. You will also see other interesting contemporary artworks with a lighthearted mood. On February 9 the entrance to Museum Boijmans Van Beuningen will be free (lucky day! ), and the entrance to Kunsthal will cost 14 euros. If you have a museum card, both museums are free of course. 12: Protected content , visit the Museum Boijmans Van Beuningen. 14: Protected content , break and chat, afternoon tea in the museum. 15: Protected content , I may divide the whole group into two groups. One group for people who would like to continue with Boijmans, one group for people who want to explore the Kunsthal (about Protected content of walk from Boijmans). After 17:00, we can find a place for a social drink (if you would like). Looking forward to seeing you on next Saturday in the museum.